i found a cd-r of files i made in 2003. i threw them in a multi-tracker and the results are interesting. A nice gentleman from the Dutch Space Rock Facebook group and YouTube channel contacted me and asked if it would be okay to put our latest album on YouTube. I thanked him and said okay. Really nice when people do stuff like that. Sorry for my recent absence. I cut out my home internet. Please buy my new tape! 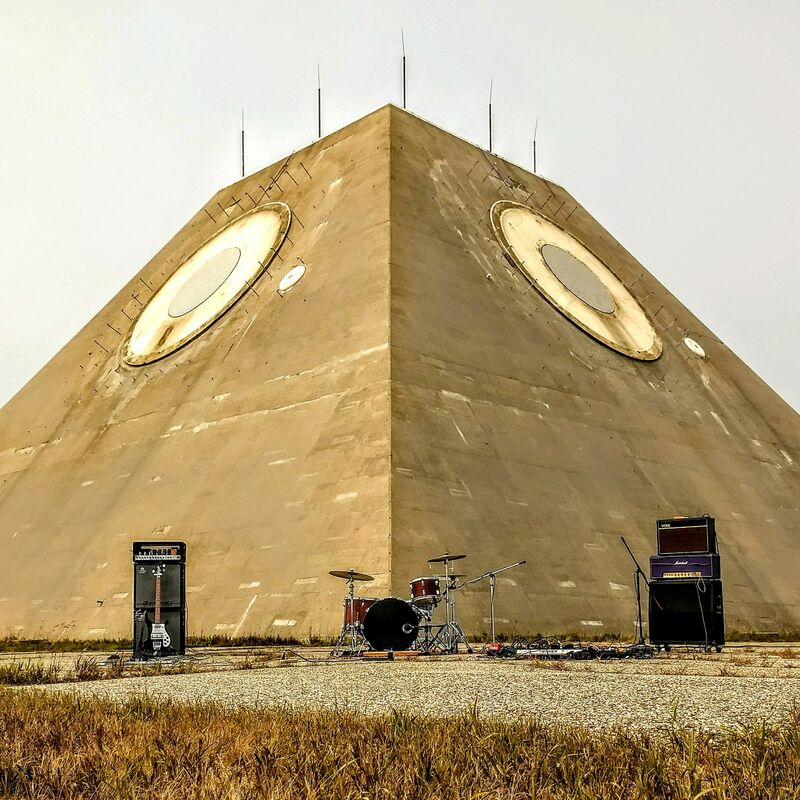 Did my first ever "rock video" shoot at the infamous Illuminati pyramid of North Dakota last weekend. This is a decommissioned nuclear missile defense site with a giant radar pyramid, and it was one of the coolest places I've ever been to. This one minute video clip is from the soundcheck, and is just the cellphone video and audio. You can see the camera drone taking off in the background. We did Hi-Fi audio and multiple camera video for this, but for now this gives a general feel of things. And the rest of the site is also incredibly cool looking. Totally worth a super long drive. Thanks! Trying to channel the vibe of Crimson's "Red" a little on this tune. Here is a vid of a live drone with my friend, channeling our inner Tony conrad and phill niblock. She is violin, I am electronics. The cat seemed to like it. The strikes me as a huge compliment. Mesa V Twin tube preamp. What do you get if you go to college in North Dakota? I am not in a 'proper' band, but I am performing in one at school. I'm on vocals, because they're the only thing that's within my limited talent. Isn’t that the gospel truth? We channel Satan a little bit differently than most. Comets Ov Cupid recently in Minneapolis. Full set. ah! looks like your satan is different from my satan (mine is quite unlistenable, and boring), plus with faust comes mephistopheles and the theology gets complicated.